During the 16 years that the United States has been at war, the nations' leaders have promised repeatedly that the military will give suffering troops the help they need. Yet a new report by congressional investigators found that tens of thousands of troops with mental health problems and brain injuries were kicked out for misconduct between 2011 and 2015. Moreover, the troops' conditions may have contributed to their misconduct, the Government Accountability Office said in a report released on Tuesday. It found that commanders often don't follow military policies that are designed to help injured troops and that there have been failures to train officers to understand the complex medical issues that service members face. More than 57,000 troops in the Army, Air Force, Navy and Marines between 2011 and 2015 who were discharged for misconduct had “conditions that could be associated with misconduct," according to the report. That includes post-traumatic stress disorder, brain injuries and other conditions, like adjustment, anxiety and depressive disorders. Of these troops, more than 20 percent, or about 13,000 of them, received “other than honorable” discharges, which made them potentially ineligible for veterans benefits, including access to health care for their conditions. The GAO recommended that the military better adhere to its policies and, in some cases, more closely monitor and screen wounded troops. Without such efforts, “the risk increases” that troops are discharged inappropriately, the report said. It is critical to ensure that service members with injuries sustained in combat, such as traumatic brain injuries and post-traumatic stress, receive the consideration required under law if they are separated from the military. We look forward to reviewing the report and to working with the Department of Defense to ensure sufficient policies are in place across the military services. The VA must also work to reduce the barriers for separated individuals to petition for certain care. Currently, the VA petition process is inconsistent and unclear for those seeking care. Asked to comment on the GAO's findings, Congressman Mike Coffman, R-Colo., a member of the House Committee on Veterans Affairs, issued a statement. The report... only highlights what I have been saying all along -- those with service-related mental health conditions, to include post-traumatic stress disorder and traumatic brain injuries, were separated for misconduct without consideration of their condition. I will continue to fight for our combat veterans to make sure they receive the mental health care they require. The Department of Defense should take this report and its recommendations in consideration when establishing their separation guidelines and practices. Bennet in March signed onto a bill that he said is meant to help those veterans. It "expands access" to mental care for veterans who face barriers getting it. Coffman in March introduced a bill that's currently before the House Committee on Veterans Affairs. 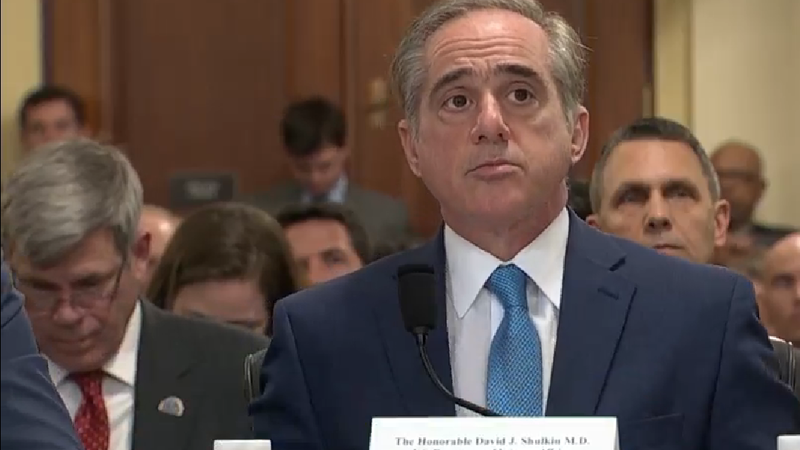 The bill, which has the backing of VA Secretary David Shulkin, aims to ensure veterans with "other than honorable" discharges can get VA mental health care if their need is "urgent." The NPR/CPR investigation spurred Bennet and 12 other senators to call upon the Army’s inspector general to look into the issue. A year later, the Army released a review concluding that commanders did nothing wrong when they kicked out soldiers for misconduct – even though all of those troops had been diagnosed with mental health problems or brain injuries. Two Colorado lawmakers are working on ways to help veterans who have been pushed out of the military with what’s called “bad paper” -- slang for the discharge paperwork that can hurt veterans in civilian life. It can hinder their chances for a good job and pose a potential barrier to care from the Department of Veterans Affairs.